Good. Now that everybody knows where you live mate, don't worry about your mail. Erm... What does someone knowing/not knowing where I live have to do with me worrying/not worrying about my e-mail??? I believe that he means "don't worry about contents of those (paper)letters you'll be receiving from internet weirdos and gays from now and forever". don't forget that he's moving away. 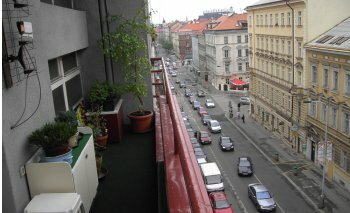 Everyone, who can read public czech domain directory on www.nic.cz know where Fuxoft live. Be afraid Frantisek, we will come and eat up your fridge:-). Kasli na ne, ti co vyhrozuji jsou jenom neskodni pitomci. Tady nikdo nevyhrozuje. Tos mozna trochu nepochopil.